What is Digital Video Fingerprinting? A digital video fingerprint is a compact digital representation of a video that summarizes the unique characteristics of the material. This small fingerprint file — and countless others which correspond to other unique videos — can be stored, retrieved and used to identify the original content whenever it appears from within any source. 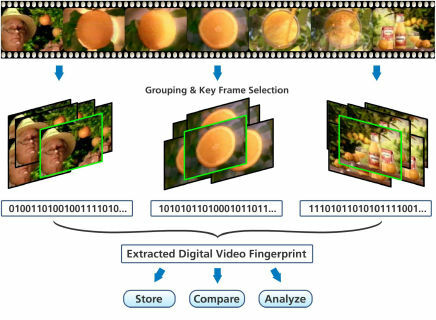 Video fingerprinting generates a unique digital profile and can be used to analyze and identify any video source (including TV, video repositories and other digital streams) wherever and however it is subsequently used. Because the fingerprint is based on the unique optical characteristics of the video, it can be used to compare similar videos: different versions of the same material will have subtly different fingerprints and can be used to identify and classify “different but related” versions. Conventional video fingerprinting or Automatic Content Recognition (ACR) approaches, use a single algorithm in the hope that this “average” solution will fit the majority of use cases. But, just as one size of glove cannot possibly fit every hand, ivitec recognizes that one rigid approach cannot possibly be optimal for every use case or application. Rapid searches require a light-weight fingerprint, whilst frame-by-frame comparisons with precise attention to detail require a dense fingerprint. ivitec's ground-breaking Adaptive Video Fingerprinting™ technology is able to adjust the density and granularity of fingerprints to match specific use cases, and is the only approach that is capable of meeting the automatic content recognition demands of the full range of complex media-centric business processes. is able to adjust the density and granularity of fingerprints. is the base of all ivitec products. 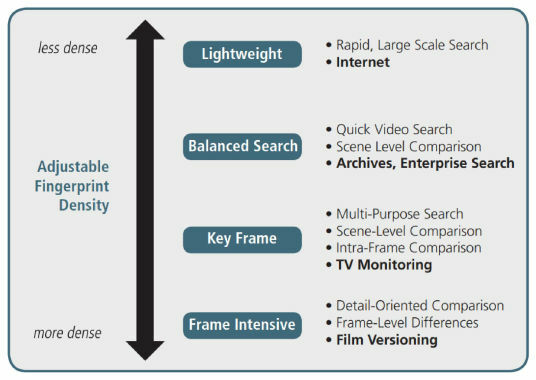 The ivitec MediaSeeker Core platform is a scalable, robust and most importantly, flexible fingerprinting engine. The core architecture, based on ivitec's Adaptive Video Fingerprinting technology, was designed to apply variable fingerprinting density across multiple use cases and provide fully parameterized controls for the content owner. to be customizable as required at each stage of production. This minimizes the costs of produc-ing and maintaining the asset while maximizing the revenue that can ultimately be derived from distributing that asset in a timely manner, regardless where it is stored, produced, or distributed. 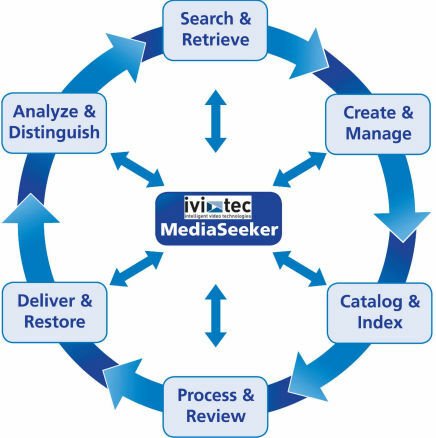 The ivitec MediaSeeker solution offers value to the organization by providing content owners the ability to organize and identify their content anywhere. 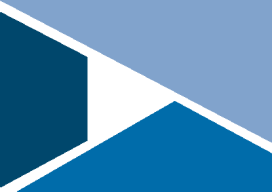 ivitec offers a completely flexible, non-invasive video fingerprinting technology that enables content to be identified and organized at any point along its value chain, at any time, providing a future-proof record that can be repurposed as new production methods and distribution techniques arise.